Early morning silence is shredded by the cacophony of White Crested Laughing Thrush that comes in groups. A group of four perched on a tree and their shrill calls resonated in the valley. The countryside is bathed in the brilliant summer hues. The barren patches are grassy and green. The trees sway in the warming breeze, donning the verdant hues. 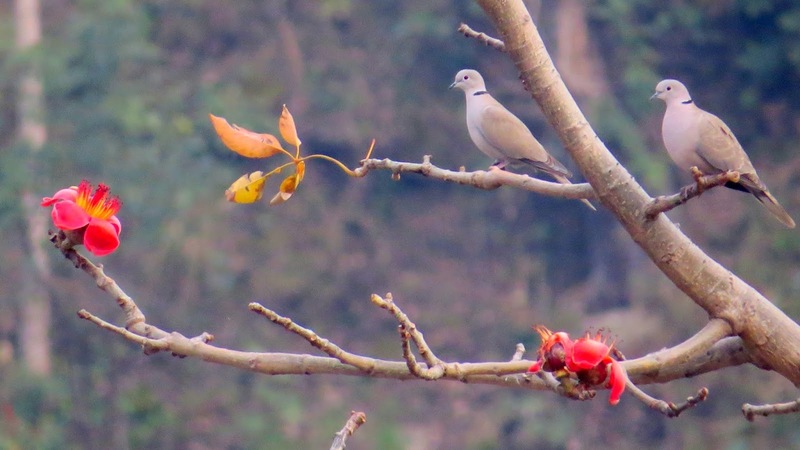 Far far away, we spotted a pair of Collared Doves on the higher branches of the silk cotton tree. Summer is arriving in our land drifting in on the Spring wind. Last weekend, we baked Orange Delight. 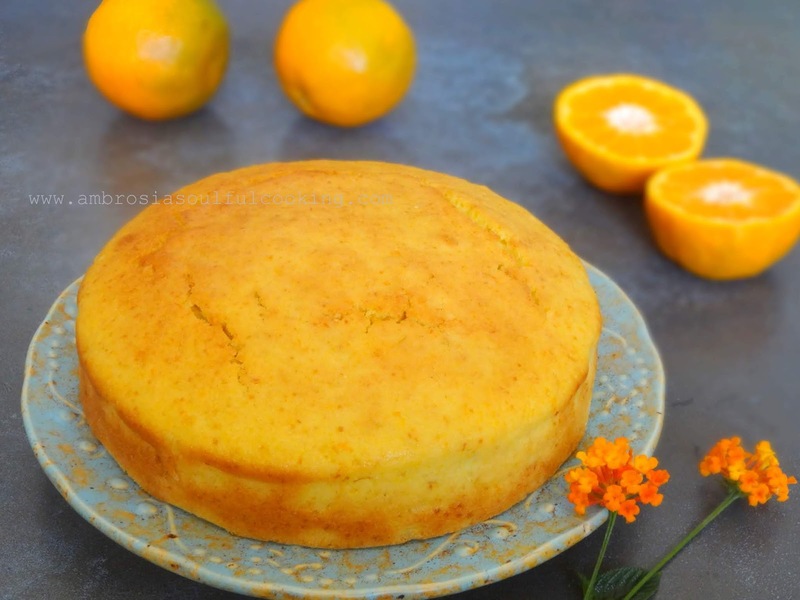 It is an Orange cake with potatoes. The cake is light and fluffy and a delicious change from the conventional recipe. The inspiration for this cake comes from a book that was discovered in the unreachable upper shelves of the kitchen while cleaning. 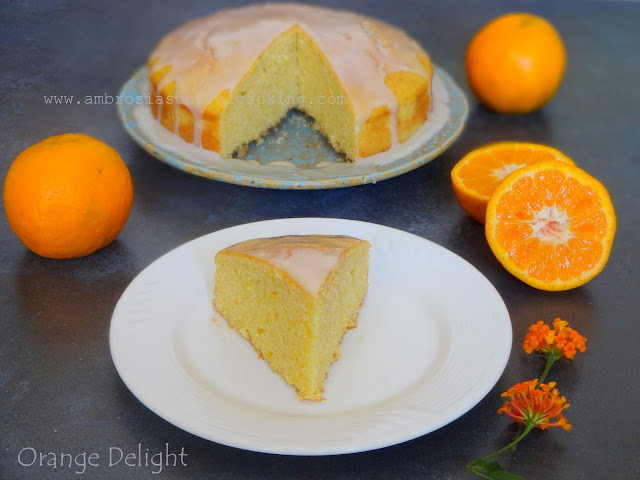 With the juice and zest of the local oranges, the cake turned out to be a real Orange Delight. There is something charming about the old recipes. This recipe comes from the book “The Popular Potato Best Recipes“ by Valwyn Mc Monigal. The brittle, fragile and yellowing pages of the book have a wonderful collection of recipes with potatoes. A lot of them will be a pleasure to try out. 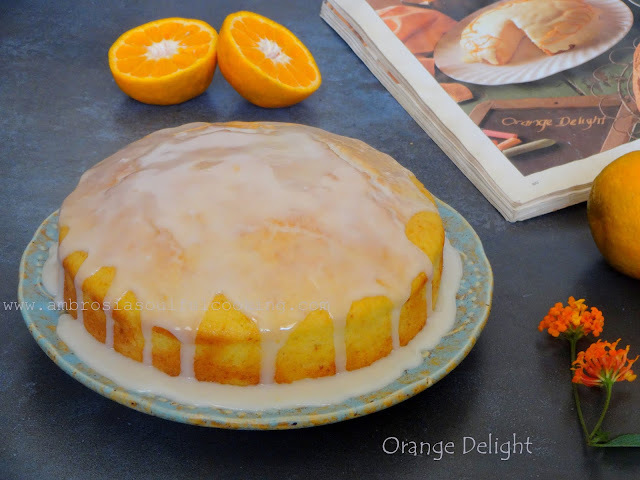 We chose to bake the Orange cake first. Add orange rind and orange juice. Add flour mix. Stir to get a uniform creamy mixture. Squeeze potato dry and add to mixture. Stir well to combine. Bake for 30 minutes. Test with a toothpick. It should come out clean. Cool the cake in the rack. To make the icing, put the icing sugar into a small pan and add sufficient orange juice to make a firm mixture. Beat in butter. Heat on low very briefly and spread over the cake.